$50 per person. $45 for Friends members or active military. 40 participants. For the explorer at heart, bring a friend and join us for a unique, behind-the-scenes tour of un-restored areas of the Battleship. The four-hour tour consists of small groups with guides. 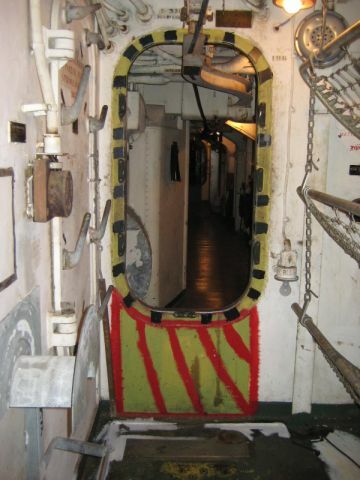 Guests explore the bow (officers’ country, boatswain locker), third deck (Radio II, brig, after gyro, storage rooms, ammunition handling, Engineer’s office), Engine room #1, superstructure (Captain’s cabin, armored conning tower), after diesel, and climb inside the forward superstructure to the top of the ship. The Azalea Coast Radio Club will be in Radio II to explain their work on the ship’s radio transmitters. It’s the tour that brings out the “Indiana Jones” in all of us, without the snakes! The program is for adults only (ages 16 and up) and limited to 40 participants. It is not appropriate for those who have difficulty climbing narrow ladders or over knee-high hatches. Wear warm, comfortable, washable clothing, sturdy, rubber-soled shoes and bring a camera! Registration and payment are due Thursday before the event. To make a reservation or to receive more information, please contact Shelly Robinson or call 910-399-9101. Questions may also be directed to Kim Sincox, Museum Services Director, or call 910-399-9113. I was a participant in last Saturday’s Hidden Battleship tour and was fortunate to be in the group led by you and Cecil. I’m writing to thank you and to tell you that it was a wonderful experience and that I look forward to doing it again. I have done the self guided tour many times over the years but have always wanted a little bit more. 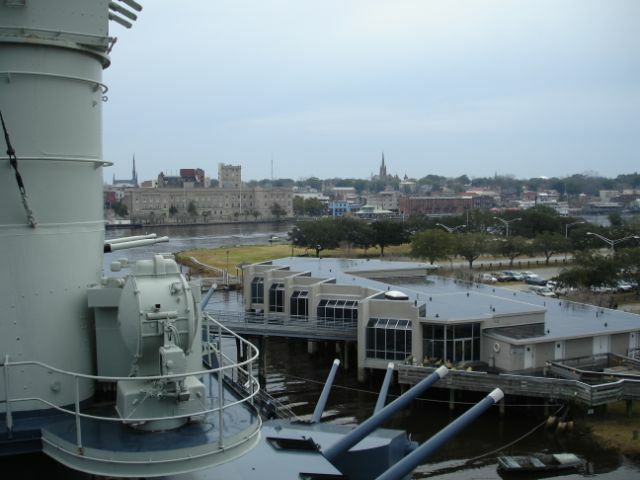 The hidden battleship tour provided a whole lot more! I can truly say that it exceeded my expectations in every way. I was surprised at the overall good condition of the parts of the ship that I had not seen before. I hope the rest of the ship is also in such condition. I plan to do the firepower and power plant programs in the coming months and also will become a Friend of the Battleship. Thanks again to you and all the volunteers and staff who make this possible. It is a fitting tribute to those who served.